« U.S. defeat in Afghanistan? 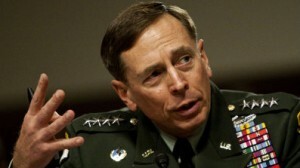 Gen. Patraeus is going to modify Afghanistan Rules of Engagement. Currently the Rules of Engagement are designed to prevent NATO from killing Afghan civilians. Ousted Gen. McChrystal was fired for wanting that the Rules of Engagement be changed. Patraeus is now taking a page from McChrystal’s rant because Patraeus knows we are losing the war in Afghanistan. (Every reference to Patraeus mentions that he turned around the situation in Iraq—which has proven not to be true—see our post General Milquetoast). Patraeus is abandoning his vaunted COIN counterinsurgency strategy, designed to win the “hearts and minds” of the people. Afghan President Hamid Karzai knows we are losing the war in Afghanistan which is why he is negotiating with the Taliban. Britain’s Foreign Office confirmed that its outspoken special envoy to Afghanistan and Pakistan, Sherard Cowper-Coles, has taken an extended leave of absence after rifts with his U.S. colleagues in the region and his statement that the war in Afghanistan was doomed to fail. Canada is withdrawing all its forces next year. Poland’s interim president said Tuesday he will end his country’s military mission in Afghanistan in 2012, if he wins next month’s runoff election. Pakistan knows we are losing the war in Afghanistan which is why it gives sanctuary to Al Qaeda. In fact, Pakistan’s spy chief, Lt. Gen. Pasha, shuttles between Islamabad and Kabul, telling Mr. Karzai that Pakistan agrees with his assessment that the United States cannot win in Afghanistan. So why are we in Afghanistan? Al Qaeda is mobile and can operate in many countries. Are we there for the opium, for the oil pipelines, for what? No – we are there to make Obama look strong – to help Obama politically – at the cost of blood and money.